*dodges tomatoes* I’m reading it, friends, I’m reading it! And then I’m going to read Vengeful and it’s going to be glorious! I mean, new TJR! Do I really need to say anything else? Also, I’m starting out my October with two buddy reads with Julie, so like… what a damn blessing. I can’t even read this title without singing my favorite Saves the Day song, and if that’s not telling how actually old I am, then I don’t know what will. But this book actually has the highest ratings on my TBR, so I am really expecting to love it! Not only am I hyped for this book, this is going to be me and Destiny’s first buddy read together. And, friends, Destiny has the most gorgeous feed on bookstagram, I swear. Not only is she a confirmed angel, her photos are honestly perfection in my eyes. Okay, I actually have to read The Bane Chronicles first, but I’m not buddy reading that one! 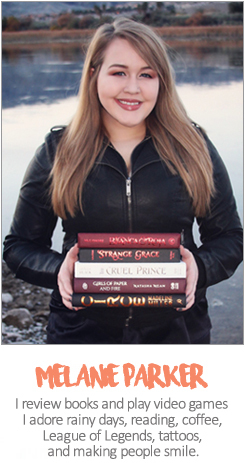 But, like, I am actually getting through Cassie Clare’s back-list pretty quick and you should all be proud of me. Another ARC buddy read with my favorite! And this might be my last highly anticipated ARC of 2018, so I’m extra excited to buddy read it with them. No buddy read for this one, but it’s going to be on everyone’s TBR. And even though I have never loved this series, I have wasted too much time to NOT see how it all ends. I’ll probably start this the day it comes out, October 23rd, 2018. Ruth Ware seems to be a polarizing author, and I know so many of my friends disliked The Woman in Cabin 10, but those same friends have assured me that The Death of Mrs. Westaway is her best work yet! And I’m excited to finally read Ruth Ware for the first time! The very first book I read this year was The Secret History, and friends, a day hasn’t gone by that I haven’t thought about that book. Everyone tells me that this is the closest book to give me those same vibes! And it’s more spooky, apparently! Shakespearean actors that are also maybe murderers? Sign me up, please. This is one of the few books I get asked a lot if I’ve read or if I’m planning to read. I think Riley Sager and his debut was just very polarizing, so people would like to know where I fall with his work! So, I’ll let you know soon with his sophomore novel, friends! Good luck with all your reads! So many books ! You can do it 💪 I’m so excited to read the good daughter with you 💖💖I’m going to read the Ruth Ware book with you guys even though I was disappointed with in a dark dark wood, hopefully this one is good! Hope you enjoy Vicious! I’ve been meaning to read If We Were Villains too but I keep delaying it lol. Can’t wait to see what you think of Brilliant Death! Your month is going to be awesome! I read Good Daughter and it was really well done! I will be reading Silence of the Girls later this month, too. I just have a couple of library books to get through, first. Good luck with all your books! 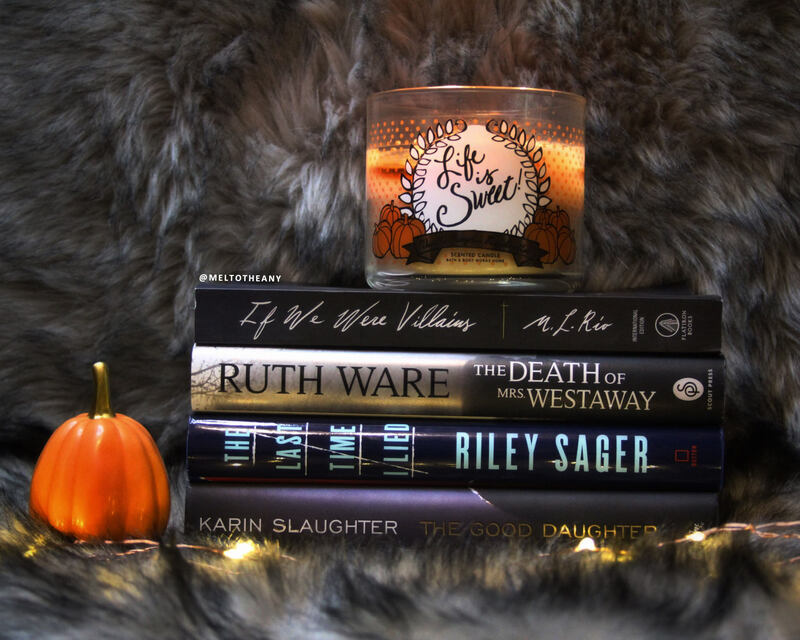 Your spooky readathon sounds so fun! 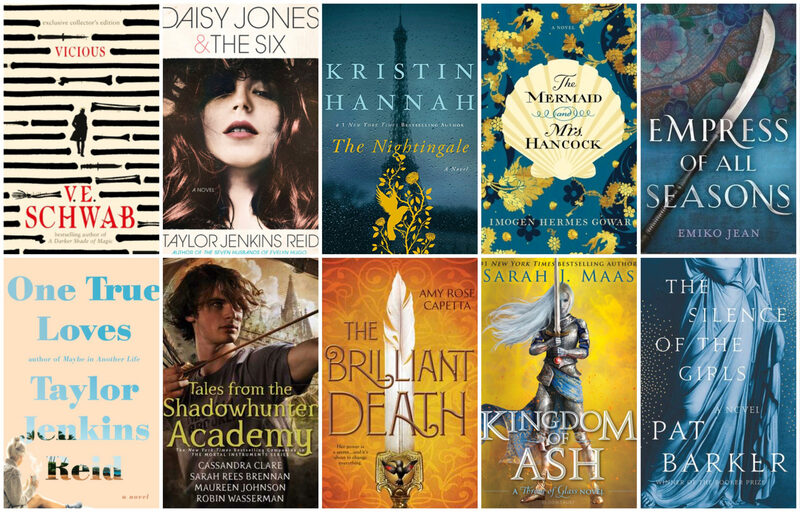 Your tbr looks so good. Good luck! Also, how did I forget Kingdom of Ash comes out this month?? ooh i’m looking forward to your thoughts on Vicious! i’m trying to read more VE Schwab and that title keeps coming up. & i think there are some things about The Nightingale that are a little bit polarizing but i did love it. a lot of that is because of my highway-wide soft spot for Kristin Hannah but still! I feel like I three star every single thing I read by VE Schwab, so I am currently crossing everything that this book will be different! And… I am beyond words excited for The Nightingale. I think I’m going to love it, too, honestly. That’s quite the list Mel! I have a copy of The Silence of the Girls coming in from the library soon and I can’t wait! Anxious to hear what you think about Vicious. Picking up my copy of Vengeful today. Lmaooo! I love you more than words! And I’m so excited! I mean, I hope I’m emotionally read (spoiler: I know I’m not) but it’s going to be even better reading it with you! Good luck with your reads, love! I just finished Vicious and adored it.